As part of the development of San Diego Forward: The 2019-2050 Regional Plan, SANDAG has launched an interactive survey and will hold a series of public meetings hosted by elected officials from throughout the region in October to gather input on three initial “network concepts.” This input will be used to develop draft scenarios that will ultimately lead to a single transportation network to be included in the Regional Plan. These priorities were used to develop three distinct network concepts for the 2019 Regional Plan – Shared Mobility, Connected Corridors, and Policy Possibilities. The network concepts include a mix of projects, technology, programs, and policies that address transportation needs for people and goods in the region through 2050. Input on these concepts will lead to development of more refined “network scenarios” – specific combinations of projects and programs – for review later this winter. 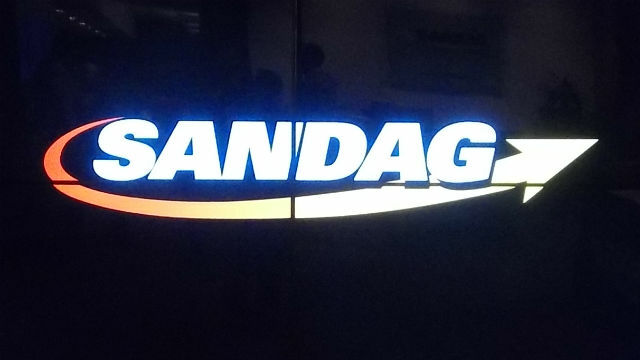 Early next year, the SANDAG Board will choose a single, preferred network scenario, which will form the core of the 2019 Regional Plan. There are three primary ways to provide input on the network concepts during the month of October. Take a brief interactive survey. Attend the open house. Join one of the community conversations hosted by elected officials around the region. The interactive survey is available through October 31 at SDForward.com/survey. Tuesday, Oct. 16 from 4-7 p.m.
Monday, Oct. 15 from 6-7:30 p.m.
Wednesday, Oct. 17 from 6-7:30 p.m.
Thursday, Oct. 18 from 6-7:30 p.m.
Tuesday, Oct. 23 from 6-7:30 p.m.
*Spanish interpretation provided; Spanish speaking staff members will be present at all events.